Sing Core announces the first premium non-warping butcher block surfaces that can be guaranteed not to warp, bend, twist, cup or otherwise fail for 50 years. 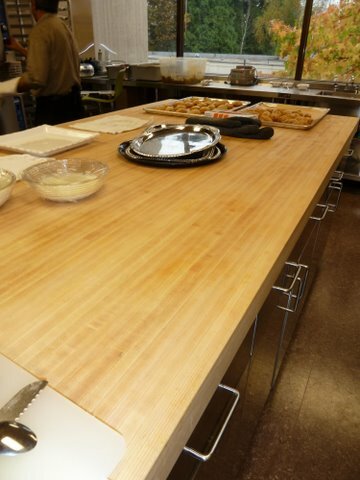 Our patented torsion box/foam composite solid core substrate is the secret ingredient to the world’s best countertops made of wood butcher block. The most high-end millworks and custom cabinetmakers from coast to coast use Sing butcher block as their source material, especially for clients who demand high precision and performance from their butcher block surfaces. Not to mention the lightweight advantages of the Sing butcher block countertop in comparison to other butcher block countertops. Being so lightweight makes transportation and handling easy and convenient and less expensive than heavier weight butcher block countertops. 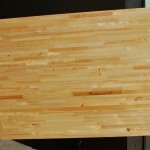 Sing butcher block countertops have all the majesty and beauty of traditional butcher block countertops without all the headaches associated with wood countertops. 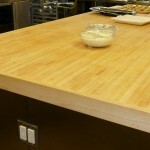 All premium Sing solid surface countertops can be guaranteed not to warp, allowing your trouble-free enjoyment of your butcher block countertop for life. In the center of your kitchen is the heart of your culinary activities that can be ultimately highlighted by the natural beauty and elegance of a Sing butcher block island to showcase your work area. Our most popular natural wood surface area for upscale kitchen carts and islands is the butcher block wood countertop. The best of all kitchen countertop materials is the Sing butcher block counter top featured on only the most high-end homes and television cooking television shows that will accept nothing but the best kitchen countertops. 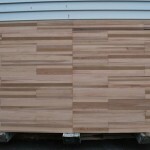 Why not use the best butcher block island top to create the best butcher block cart? Your guests will be impressed when you adorn your dining room with the natural elegance of a table that hosts a beautiful Sing butcher block tabletop. 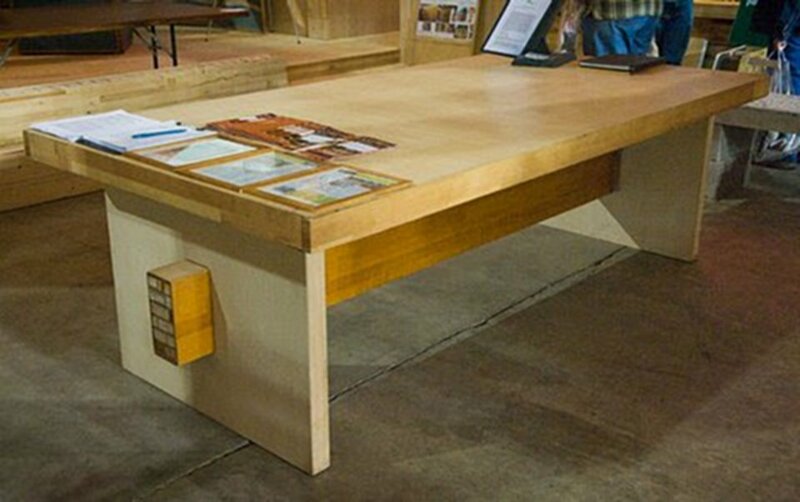 Like our prestigious clientele, you might consider using Sing butcher block as your top choice for all your butcher block table tops. A Sing butcher block dining table leaves a lasting impression, and remains lightweight enough to be able to move your butcher block table with ease. The lightweight Sing butcher block table top will also help to protect an expensive wood flooring (which could also be a Sing product) material. Your Sing butcher block kitchen table can be one of the best butcher block tables around. Again, in the discriminating workshop, where high precision raises the bar for workbench surface areas, the Sing butcher block workbench top outperforms other table top materials. 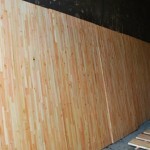 Sing Core has the highest precision core material (+/- .006 inch) that maintains unparalleled flatness and takes a beating in terms of exposure, density and barometric changes in the environment over time. The advanced composite technologies at the disposal of the engineers at Sing Core’s true flat headquarters can guarantee high precision results under even the most rigorous conditions. Think about using Sing Core at the heart of your next exemplary butcher block workbench top material for stellar results. 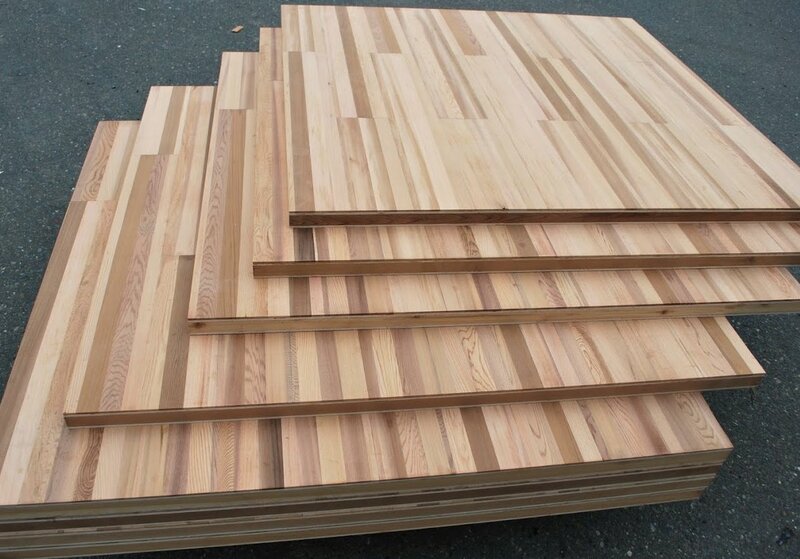 Simply due to the natural wood grain material of the wood components of the butcher block surface area, there will be a natural bending, twisting and counter-torque that will keep the material somewhat straight, but when it warps, it is problematic to have to deal with. 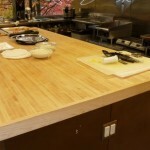 Managing a warped butcher block countertop, island, table, kitchen cart or workbench can be a hassle; may require disassembly, sanding and refinishing. Avoid all these ongoing maintenance problems by starting with patented Sing non-warping butcher block available in almost any size. Accept no substitutes. 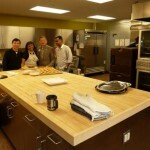 Top architects are specifying Sing Core butcher block as their material of choice; maybe you should, too.